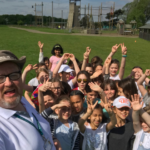 On Wednesday Y4 embarked on their first school residential trip to Stubbers Education Centre in Upminster, Essex. 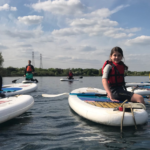 The two night stay was a big adventure and, for some in the group, marked an important milestone as it was the first time they had been away from home. 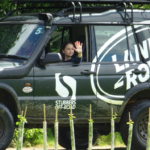 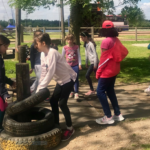 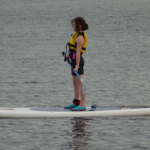 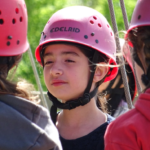 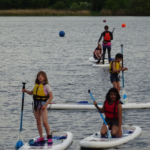 During the visit the girls enjoyed a fun-packed schedule of exciting activities such as paddle boarding, climbing, team building, buggy driving, shooting and high wiring. 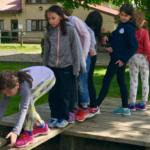 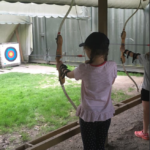 Run by a team of professional adventurers, the girls had the opportunity to try new things, push their comfort zones and soar (in some cases literally!) 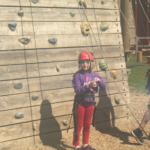 to new heights. 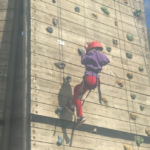 Mr Porter, Mrs M and Mrs Byrne were all incredible proud of each and every girl who attended; the school motto Fear nothing has never been more alive and kicking!